White Wolf : Genesis Cree mythology says "We originate from the stars, we are star people"
Genesis Cree mythology says "We originate from the stars, we are star people"
Kids call him the star guy. That's because Wilfred Buck has been revealing the universe to awestruck students for eight years as a science specialist with the Manitoba First Nations Education Resource Centre in Winnipeg. But Buck, who is from Opaskwayak Cree Nation, doesn't teach them about Orion or the North Star. Instead, he tells them about the Cree constellations, like Wesakaychak and Keewatin. "[As a kid] I never heard no other stories about the stars except Roman, Greek mythology, implying that they were the only ones who understood about the stars," he explained. "When I talked to the elders they told me, 'Everybody on our half of the world went outside at night and looked at the stars. Therefore, every culture in our half of the world understood about the sky because they lived under that sky.'" In collaboration with the Manitoba Museum Planetarium, Buck has travelled to many First Nations with a mobile dome. 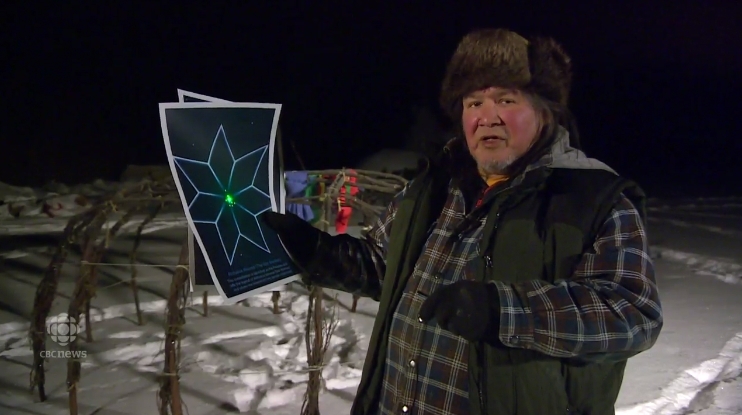 He projects the stars onto it to teach students about the universe through an indigenous lens. "I carry around the universe with me," Buck laughed, talking about his portable sky. "I can adjust the latitude and longitude to anywhere I am. So I can go anywhere in the world." He said when the education resource centre approached him about the job, they told him that his mandate was to to put the First Nations perspective into science. But there was a problem. "I went to ceremony, into a sweat lodge and passed tobacco and asked some of the old people what process would I need to look at in order to do what I was supposed to do," he recalled. "They said it would be very difficult to do what I was asked to do." Instead, they told him to put science into First Nations perspective. One of the obvious ways to accomplish that was through atchakosuk, or the stars. "The knowledge of the First Nations people, the Ininewuk [Cree] people, Lakota people, Anishinaabe [Ojibway] people, they been there for thousands and thousands of years." Buck said he began gathering stories from from Cree, Ojibway and Lakota nations and found many similarities in how indigenous peoples saw the sky and their connection to it. "We originate from the stars, we are star people," Buck said. "The genesis mythologies say this is where we come from. We come from those stars, we are related to those stars. Once we finish doing what we come here to do, we go back up to those stars." What most people know as the North Star has several names in Cree. It is sometimes called Keewatin, which means Going Home Star, or Ekakatchet Atchakos, which translates to English as It stands Still.There are various legends about what is commonly called Orion's Belt. 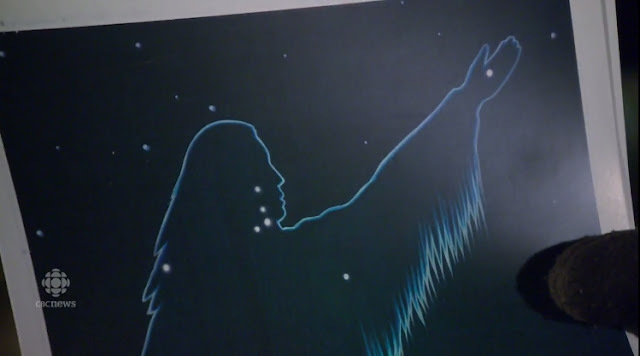 As Buck explained, the Cree call that group of stars Wesakaychak, a trickster figure in Cree mythology. "This is a winter constellation," he said. "When Wesakaychak is up in the sky, that is when we tell the stories to the youth." Buck said many First Nations kids are hearing these stories for the first time and it gives them a sense of connection to their culture and to science. "They are seeing their own culture right before their eyes that they were never told about," he said. 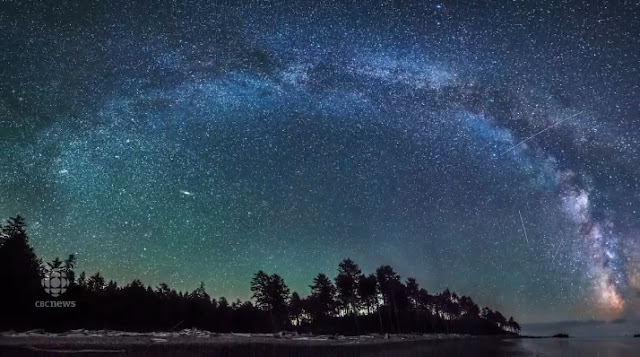 "They have to know they are connected to the universe and they also have to know that their people knew just as much about the stars as anyone else." Responses to "Genesis Cree mythology says "We originate from the stars, we are star people""
Very similar to the Osage (Wazhazhe) 'Children of the Stars' mythology. I believe this because, I intuitively know it. 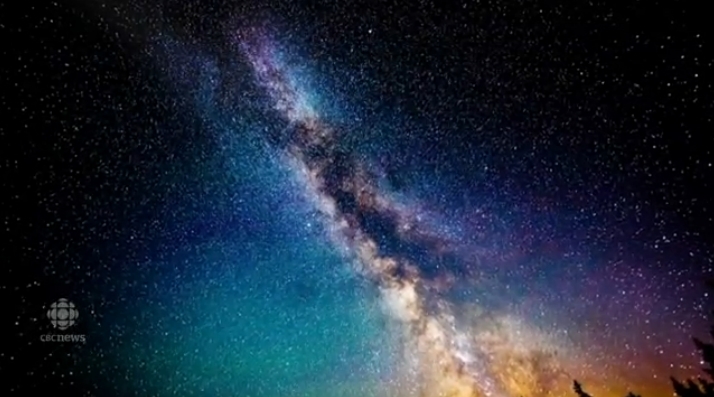 I would love to learn of the 'Children of the Stars'myth...Please would you share it with us ? This is no Bering Strait myth this is real. I said thank you its good/beautiful ! !